Whey protein-isolate 99.5% (from milk, contains lactose), soy lecithin (less than 1% soy lecithin added to aid in product dispersibility). The name says it all. 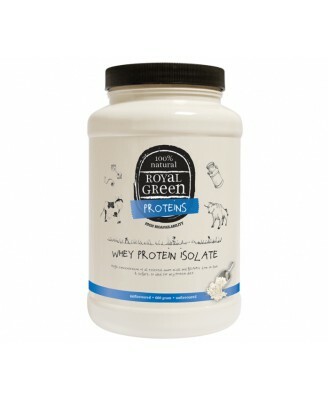 This is no mixture compiled using various different lower quality proteins (concentrate, caseinate, etc. ), but only 100% pure whey protein isolate. 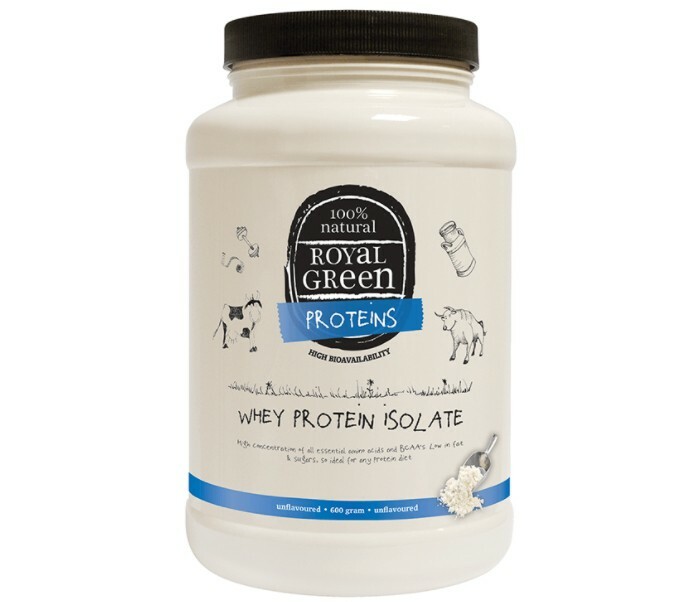 Royal Green Whey Protein Isolate offers maximum bioavailability and delivers all the important amino acids in the highest concentrated form. 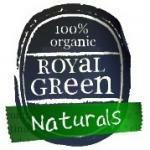 It contains the lowest levels of carbohydrates, fat and sugars and is therefore ideal for any protein diet. Protein concentration & Biological value Calcium caseinate 80-85% 77, Whey protein concentrate 70-80% 125, Whey protein isolate 90-95% 157. No Chemicals, No Preservatives, No Synthetic Sweeteners, No Flavour Enhancers, Naturally Gluten-Free, Low Fat, Low Sugars, Pure Whey Protein Isolate. Dissolve 25g (3 tablespoons) in 250ml fruit juice, milk, yoghurt or water. Drink 1-3 servings daily (depending on how much protein you want in your diet).